Cynthia Aguilar Villar earned her degree in Bachelor of Science in Business Administration from the University of the Philippines, which recognized her as the 2017 UPAA Most Distinguished Alumna. She completed her Masters in Business Administration at the New York University. Recently, in June 2018, she received an honorary doctor of laws (honoris causa) from University of the Philippines Los Baños (UPLB) for her work in agricultural development, poverty alleviation, education, women and children welfare. She practiced as a financial analyst and college professor until she married Former House Speaker and Senate President Manny Villar in 1975. She then helped her husband in various entrepreneurial ventures, eventually making Vista Land the biggest homebuilder in the Philippines. She managed a private development bank from 1989 to 1998. In 2001, Cynthia Villar won as Representative of Las Piñas, where she completed three terms or nine years of service until 2010. She was Chairman of Committee on Higher and Technical Education during the 13th and 14th congress. She was President of the Lady Legislators during the 12th, 13th & 14th Congress initiating Legislation benefitting women, children and family. Cynthia Villar founded and chaired the Villar Foundation (now Villar Social Institute for Poverty Alleviation and Governance or Villar SIPAG), the programs of which include providing assistance to OFWs sponsoring the OFW family summit every November attended by 5,000 OFW families, environment protection establishing the Las Piñas-Parañaque Wetland Park and livelihood projects, which she has established in nearly 1900 locations all over the country. She is an honorary member of Philippine Horticultural Society. 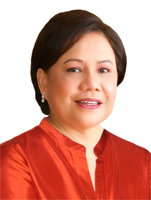 In the 2013 Midterm Elections, Cynthia Villar won as Senator of the country. Senator Villar is the current chairperson of the Senate Committee on Agriculture and Food as well as the Senate Committee on Environment and Natural Resources. She worked for the establishment of 1,955 farm schools all over the country supported by TESDA. Amidst all her achievements and awards, she successfully raised three well-educated children: Paolo is the CEO of publicly listed Vista Land; Mark is the Secretary of the Departments of Public Works and Highways (DPWH); and Camille, is the Executive Vice President of Starmall and President of All Home.